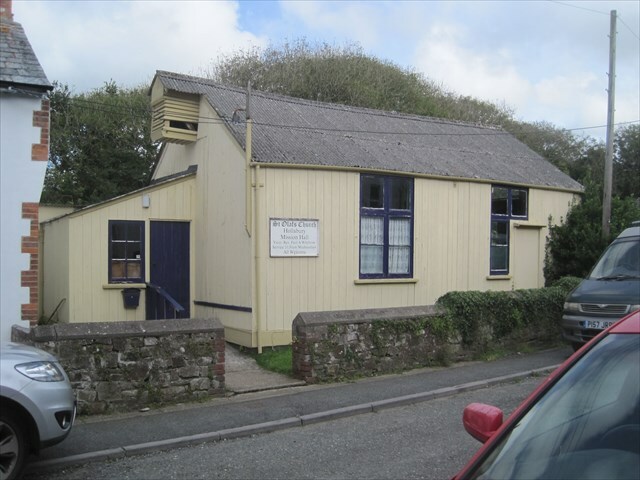 The land for the Hollabury Mission Hall, Poughill, was purchased on 10th November, 1908 with money (£120) provided by Maria Somes, from the Bude Land and Building Company Limited, and conveyed to Rev T.W. Lemon, the then incumbent of the Living of Poughill (St Olaf’s) “for the purpose of a site for the erection of a Mission Hall or Mission Church or Schools for the maintenance in perpetuity of Protestant and Evangelical Principles”. After the death of Rev Lemon in December 1919, the land and the building (which by this time had been erected) were passed to the new Trustees of the Living, the Church Association Trust (who had become a trustee of the Living of Poughill). Church Association Trust was renamed Church Society Trust in 1950. Over the years the building has been used on and off for many activities, including Sunday services and children's meetings. Hollabury Road where the Mission Hall is situated, is at Flexbury end of the parish of Poughill. Every Wednesday morning at 10.30 a very informal friendly service is held in Hollabury Mission Hall. At the headline coordinates you will find an electric pole with a five figure number thereon please note the number as ABCDE. The final location is at: - N50 50. (D-B)(B+D)B W004 31. (B+C)(D-B)B The STAMP within the cache is for the use of Lettrboxers so please do not remove it or treat it as a TRADE item. TCF pbire abg tbbq. Svefg Cbcyne gerr ba evtug.